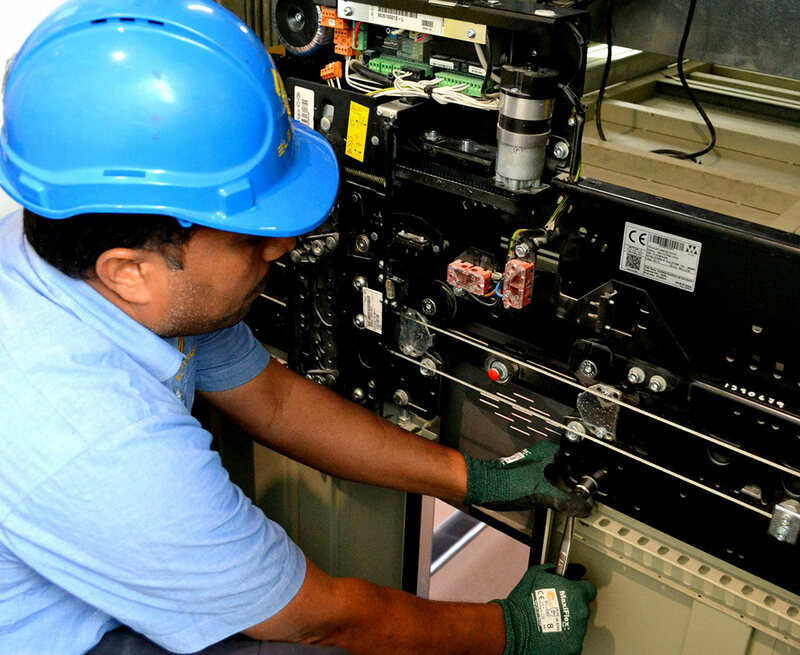 Eletech has been servicing lifts since 1996. Every Eletech Lift Engineer has vast experience and knowledge of a comprehensive range of makes, types and ages of machine, including passenger lifts and goods lifts. This enables us to keep your lift working safely and efficiently. We place lift safety as top priority, whilst constantly assessing our procedures. Maintenance contracts are the most cost effective way of ensuring the longevity, safety and efficiency of your lifts. Our engineers will visit the site regularly and carry out running checks and servicing, aimed at identifying potential issues before they cause a breakdown. We tailor maintenance contracts around the needs of our customers. 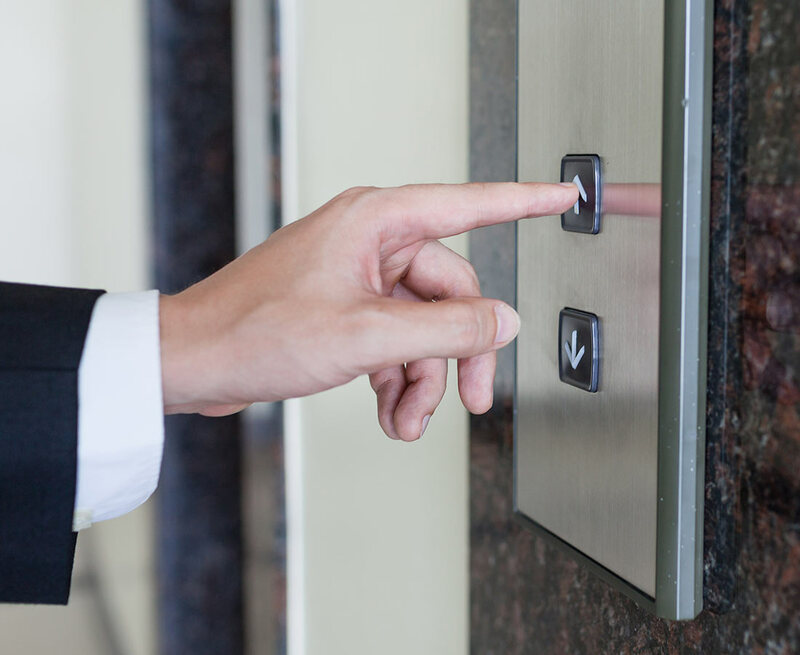 By carrying out a full survey and consultation of the current system, we can advise on any essential elevator modernisation or Health & Safety requirements work that may be required and put together a recommended maintenance schedule that meets your needs and responds to the level of usage your elevator system receives. Our computer systems and databases enable us to keep fully up to date with all contracts, maintenance schedules and breakdowns. This means that we never miss a lift service, enabling us to keep your lift in the best possible condition. We believe that ultra efficiency in all areas is what sets us apart from competitors. We offer a 24 hour, 365 days a year Lift Breakdown service with impressive response times. By choosing Eletech Pty Ltd as your Lift Services provider, you will have chosen to have your lift maintained to an extremely high standard that also meets all legal requirements. We can offer lift maintenance agreements on the following types of lifts: Passenger lifts, Goods Lifts, Car Lifts, and Dumbwaiter Lifts. No matter what your requirements for lift maintenance, put it in the hands of the specialists at Eletech Pty Ltd. Contact us today and we can arrange a no obligation survey and quotation with one of our expert team. Our repairs service is focused on fast and effective solutions to minimise your costs and inconvenience. A wide knowledge of components from all the leading manufacturers means we can often carry out repairs on the spot or quickly bring in replacement parts as required. We offer a wide range of lift repairs. As well as immediate repair work after a breakdown we offer repair works which include health & safety requirements and upgrades to meet statutory regulations. No matter what your requirements for lift repairs, put it in the hands of the specialists at Eletech Pty Ltd. Contact us today and we can arrange a no obligation survey and quotation with one of our expert team.